This is a complete ready-to-install screen assembly for Xiaomi Redmi Note 5 Global (Redmi 5 Plus), Though more costly than replacing one damaged component in the screen assembly, replacement of the entire screen assembly is more simpler task and can be completed in minutes. And the screen assembly includes LCD screen + touch screen (digitizer) + front bezel (front frame). You would get a free repair tools kit. 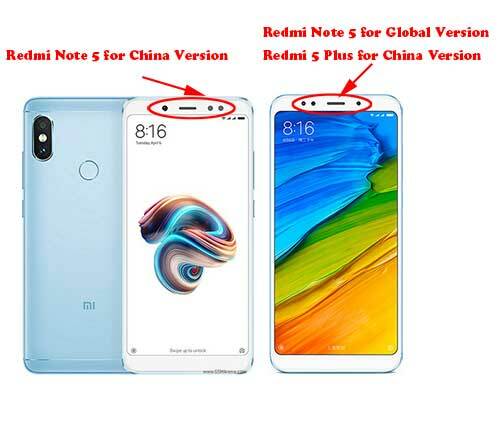 Note: Redmi Note 5 has two versions, one is for global version, the other is for China version. You would find the differences in below picture. Sure the right version before you order.